Crown perfume bottle, silver overlay on porcelain. 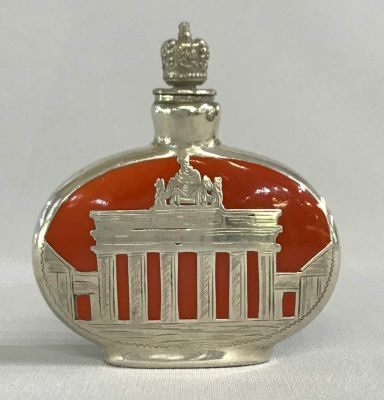 Souvenir of the Brandenburg Gate, Berlin, Germany, circa 1930. 2 1/8” by 1/2”, 2 1/4” high.